The Sure Shot 556 Hotshot junior basketball unit is a good-value-for-money set designed for home use and suitable for six-year-olds and older kids. The unit is easy to put together and is made from sturdy materials that guarantee durability and make it perfect to be used indoors as well as outdoors. 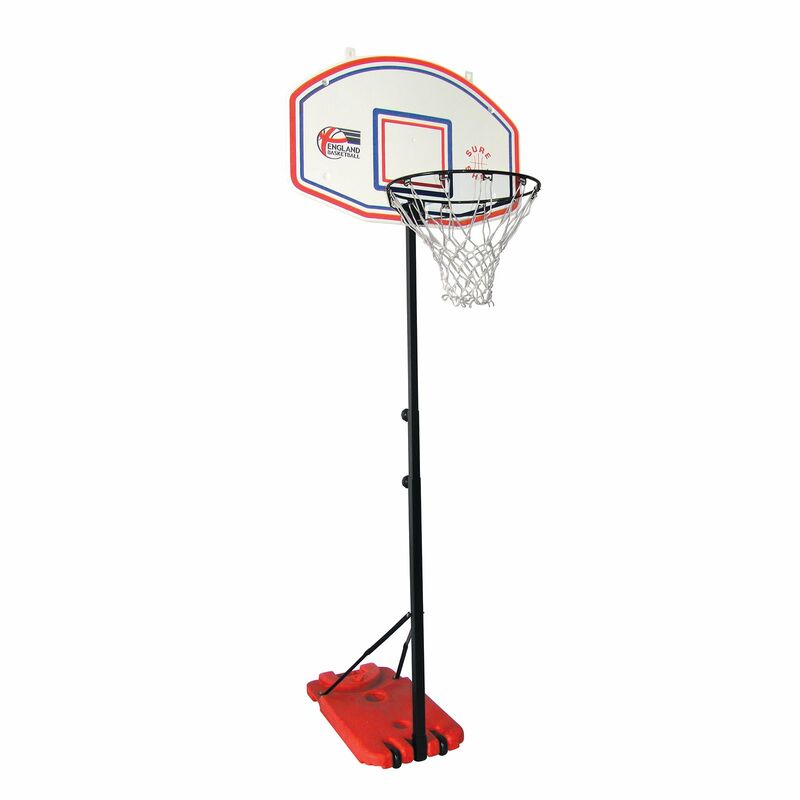 Its strong plastic backboard measures 35” (90cm) by 24” (60cm) and is fitted with an 18” (45cm) steel ring and nylon net. The backboard is connected to a steel pole that is easily height adjustable from 4’ (1.2m) to 8’ (2.4cm). To ensure maximum stability and safety the base of the unit should by filled with sand or water. for submitting product information about Sure Shot 556 Hotshot Junior Basketball Unit We aim to answer all questions within 2-3 days. for submitting product information about Sure Shot 556 Hotshot Junior Basketball Unit. We aim to answer all questions within 2-3 days. If you provided your name and email address, we will email you as soon as the answer is published. for submitting product review about Sure Shot 556 Hotshot Junior Basketball Unit.